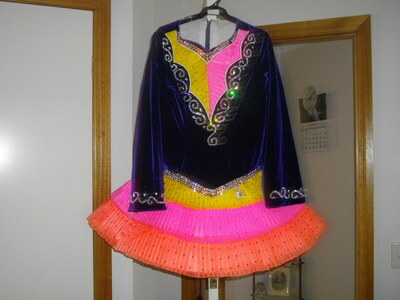 This beautiful bright coloured dress is for the tall larger girl, it has a purple velvet bodice that has a V dropped waist with crystals forming the V. The inserts on the bodice are pleated organza in flouro orange, pink and yellow with coloured crystals on, the sleeves have purple and clear crystals on also. 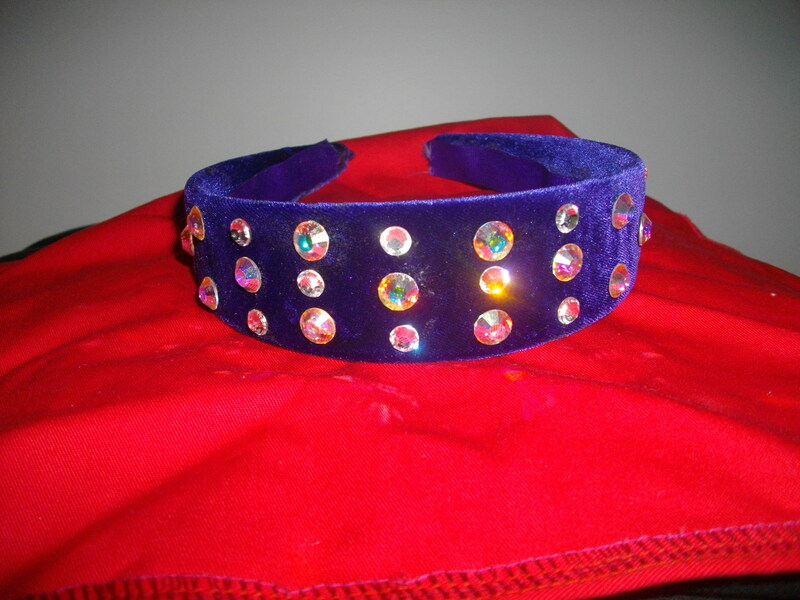 Is in very good condition, there is a little makeup on the inside and a couple of crystals that have come off which is only minor, has only been worn for 6 competitions. 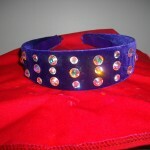 Comes with a crystal lined velvet headband and has a beautiful crystal number holder. Was made in Melbourne in August 2010 and paid $2,200. Asking Price: $AUD1,500. Shipping costs are included for my own country, overseas shipping is extra. Sale is final.